Shakira Pellow before she died from a drug overdose. 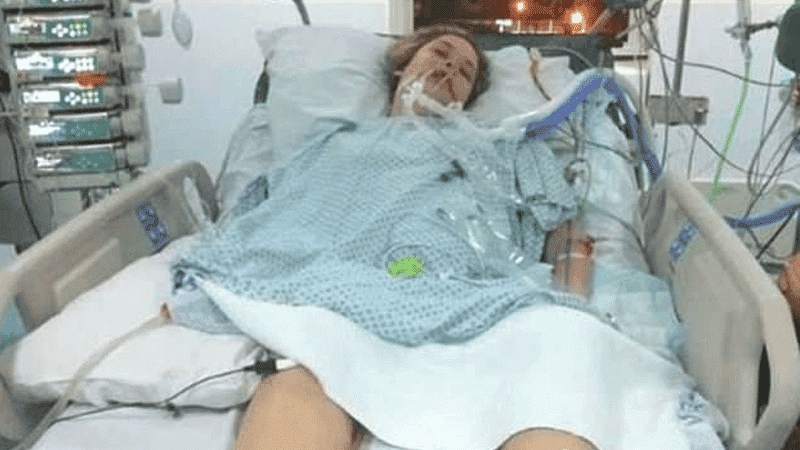 Parents of a girl who died last week after an apparent ecstasy overdose have released a picture of her in hospital to warn others against drug taking. Shakira Pellow, 15, from Camborne in Cornwall, died on Saturday morning after reportedly taking a pill bearing the Duplo logo. Her mother Rita was devastated by the death, but decided releasing the photo could help. Rita’s partner Lee said: “We want to say to other teenagers, if you carry on taking this stuff, this is what’s going to happen to you. He said they thought Shakira would pull through, and that they would show her the picture later, but now want it to stand in her honour and memory as a warning. Shakira was admitted to hospital on Friday night alongside three other 15-year-olds, all believed to have taken the same drug. Detective Superintendent Roy Linden of Devon and Cornwall Police said: “This is a truly tragic incident in which a young girl has lost her life. Two 17-year-olds have been arrested on suspicion of supplying drugs.